Great place. No pressure. Service was good. Finance was easy. I would recommend this dealership. Knowledgeable and willing to listen. I will be back for my next car. I am happy with service . Richard Guide is excellent salesman. He did his work fast and hi quality. All paper work was done in one hour.Thank you. Meir was beyond helpful. We will definitely be doing business with this dealership again. Robert ,not interested in upselling, price gouging or any sort of nonsense. I told him what needed to happen for me, comming in with no money down, and leaving with a car in my price point, and he made that happen! Fantastic salesman! Made sure I was comfortable, offer refreshments periodically, while we waited. He was not pushy,or overbearing, very sympathetic to my situation. I have the utmost respect for him,and will refer him to anyone I know who needs a vehicle. The best! KimPs: Very bad with names, but the rest of team worked very hard as well, they went above and beyond my expectations, and I drove my new/used cute Toyota home! Great job Nissan, you have my future business and any referral to anyone else I know looking for a vehicle! You guys rock!!! At first, I was disappointed. But over there, there is Salesman, Richard G., very professional who made my day. This guy is an asset to this dealer and deserves a raise. Great service. Very professional, the managers treated me with curtesy and kindness. The sales team was very honest they worked with me and answered all my questions. We’ll be back for service. 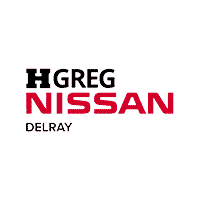 I visited HGreg Nissan Delray a few weeks ago looking for vehicle capable of towing my boat. At the time, I didn’t see anything of interest, so I moved on to other dealers and makes. Last week, I received an unexpected call from Ash of HGreg Delray, to let me know of a 2018 Nissan Pathfinder that fit my needs. Obviously, the folks at HGreg kept tabs of the vehicle that I needed, and called to let me know about this specific Pathfinder. Later that day, as visited HGreg and met Laison Latheef, who would be my sales guy. Laison made me feel comfortable at once and answered all my questions and concerns in a friendly, professional, no pressure atmosphere. Once I expressed my interest in purchasing the vehicle, Laison introduced me to Mr. David Lyons Jr. and from there we moved closer to finalizing our agreement, and eventually closing the deal for my new Pathfinder. We all know that buying a car can be a difficult and frustrating experience. Not at HGreg, and not when working with folks like Laison and Mr. David Lyons. This dealership was awesome from the salesperson to the sales-manager. The sales process was efficient and fair as well as an item that needed to be addressed on my new truck. I don’t love truck shopping, but everyone here is a tru professional and treats you like a customer in the best way. I had something I noticed on my new truck and the only thing said was don’t worry we will take care of whatever you need and they did immediately. If you in the market get in to Delray Nissan!